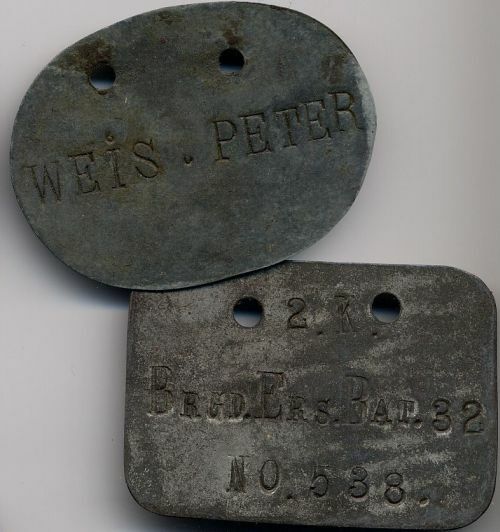 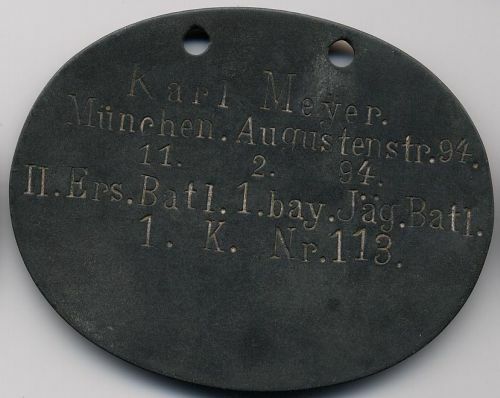 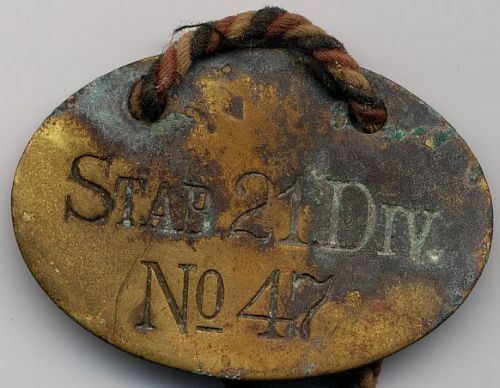 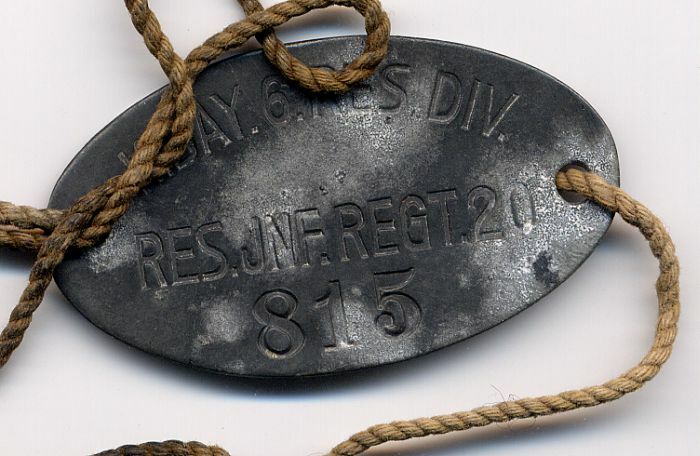 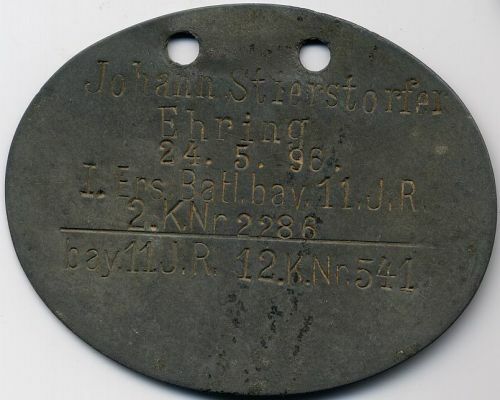 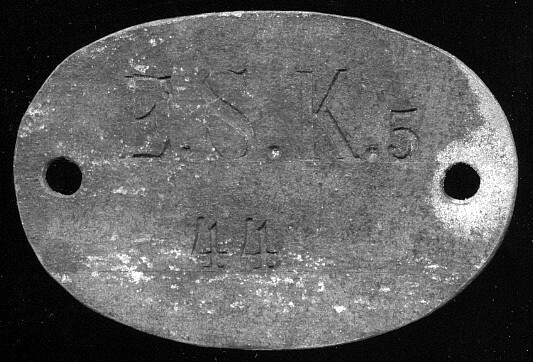 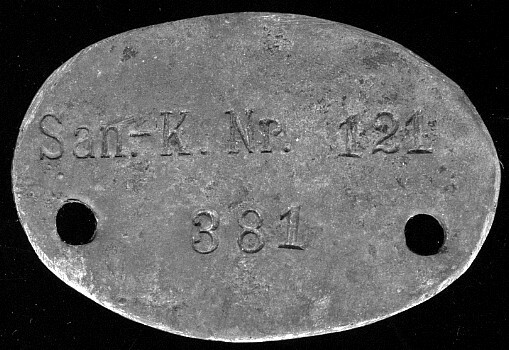 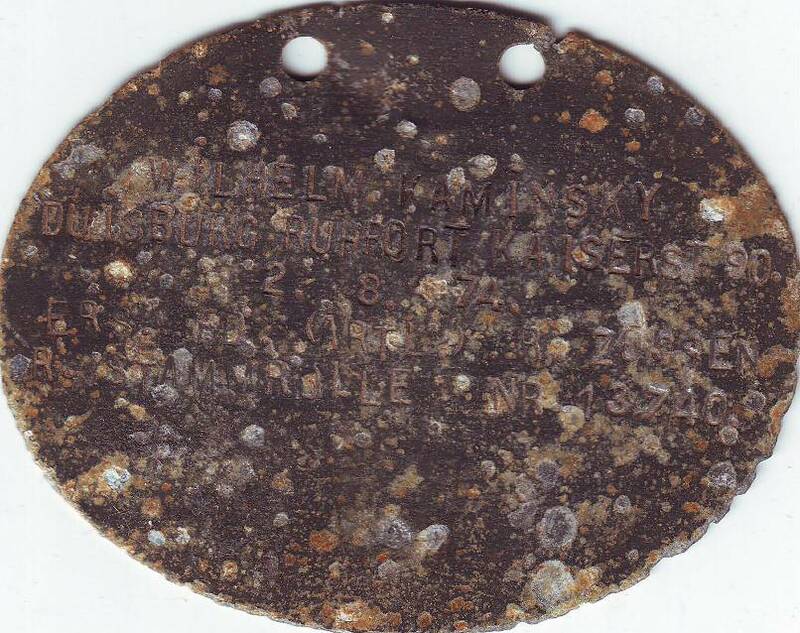 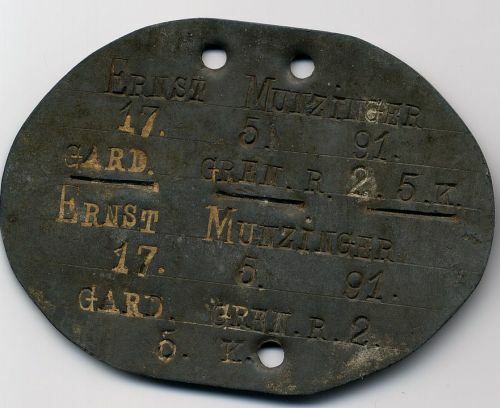 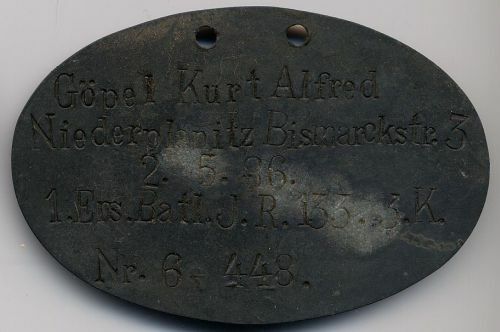 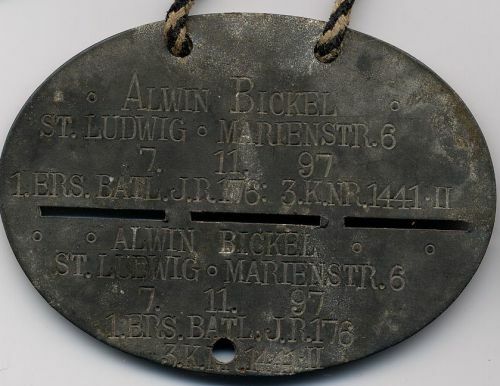 A strange dog tag for two men ! 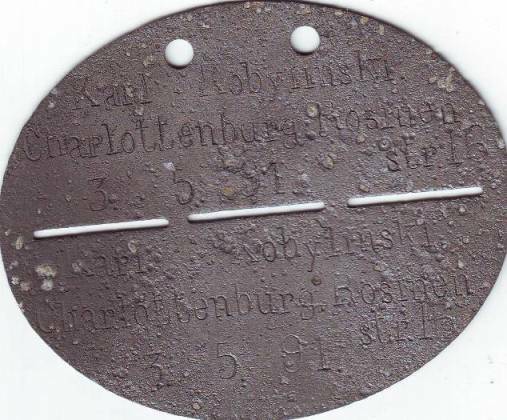 Raised in the field, end of august 1914. 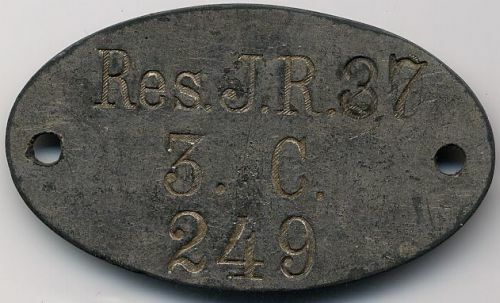 Under command of 43rd Res.Div. 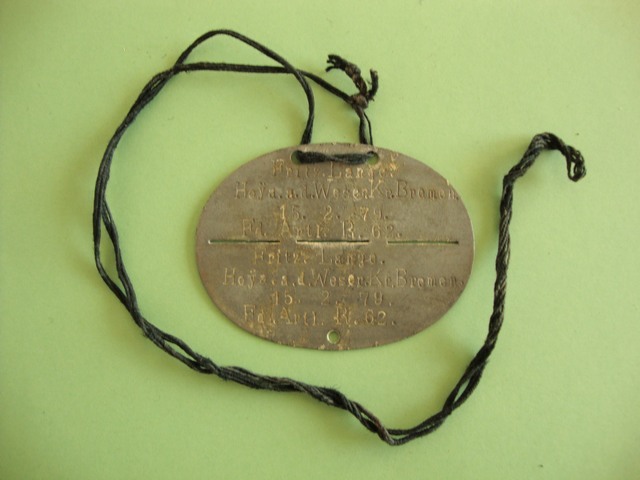 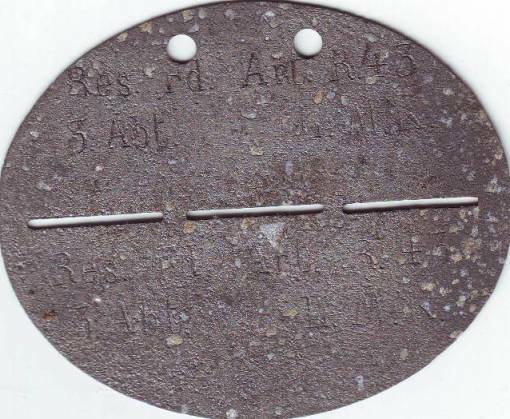 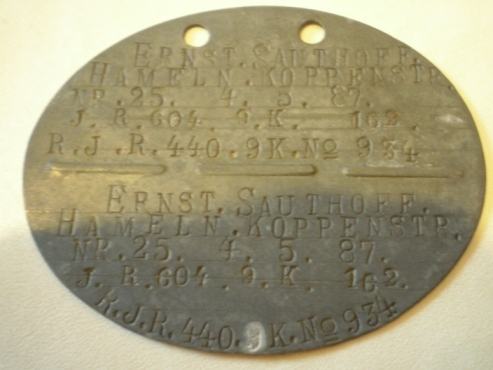 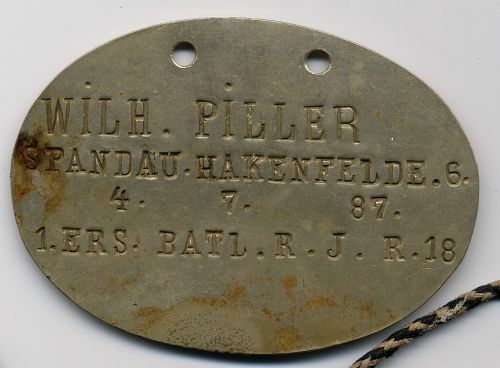 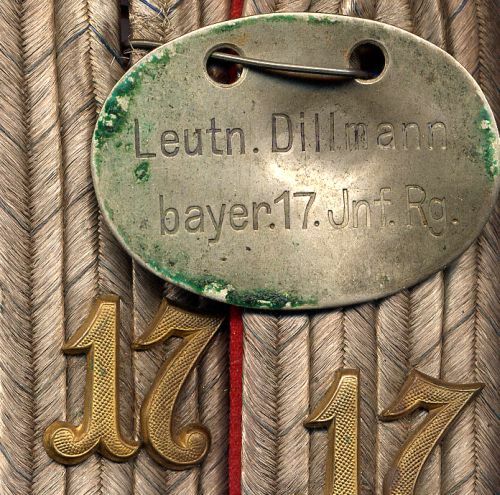 16.dec.1916 with four "leichte Feldhaubitzen-Batterien"
Some dog tags from 1 Garde Regiment zu Fuss (one of my favorite regiment ) ! 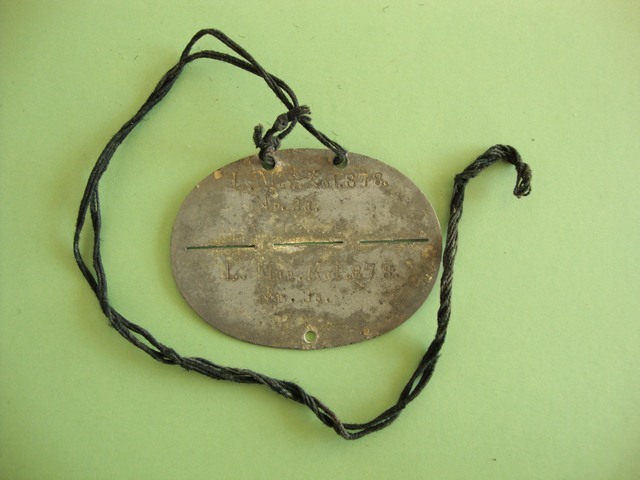 Erkennungsmarke with black cord from a Feldwebelleutnant in FAR 62 and LMK 878 (see my topic about Feldwebelleutnant Lange for more stuff). 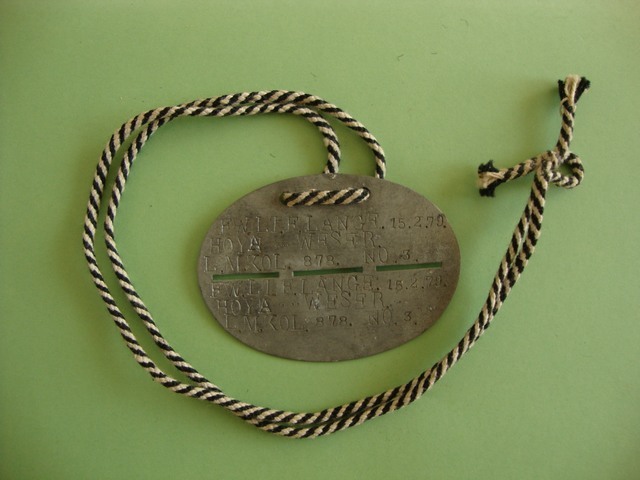 Erkennungsmarke with black and white Prussian cord from a Feldwebelleutnant in LMK 878 (see my topic about Feldwebelleutnant Lange for more stuff).